Additional program participants were the following: Dr. Broomfield, Zion Baptist Church, Millen, Reverend Sammie Kenty, Jerusalem Baptist Church, Savannah, Rev. Thurman Tillman, First African Baptist Church, Savannah, Rev. 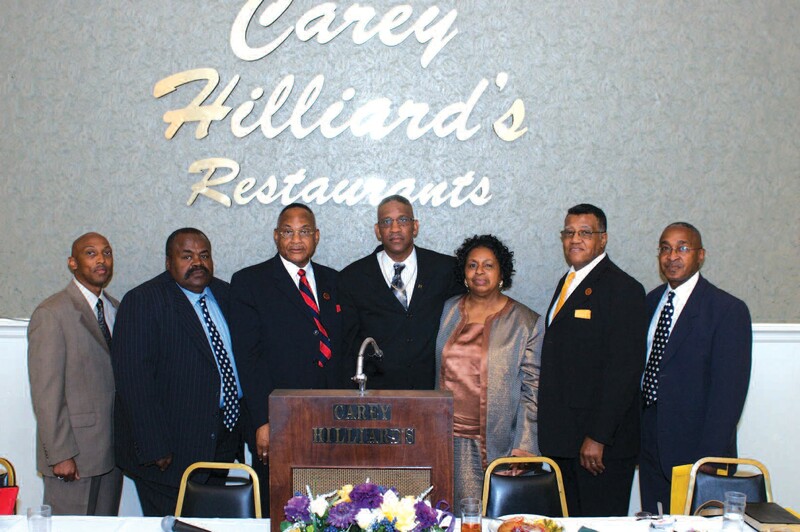 Polite, Connor’s Temple Baptist Church, Savannah, Sister Delorise Thorne, First Calvary Missionary Baptist Church, Hinesville, Deacon John Bush, First African Baptist Church, Savannah, Deacon J.C. Riley, New Prospect Baptist Church, Naylor, Rev. Clarence Williams, Tabernacle Baptist Church, Savannah, and Sister Cathy Morgan, First Smyrna Baptist Church, Savannah. The first District Laymen extend thanks to all Ministers of the Gospel, family, friends, and community supporters who joined us in making this Ministry and banquet a Success. In grateful appreciation to all, Deacon McKinley Williams, President. First District Laymen,Thankful Baptist Church, Savannah, Deacon David Cooper, Vice President First District Laymen, Thankful Baptist Church, Savannah.